If you're already a lover of Kate Hudson's supercute workout line, Fabletics, you're going to love this news. The online and subscription-based retailer has announced there will soon be brick-and-mortar locations of Fabletics, meaning you can shop in store! 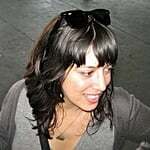 "For many people, seeing and trying on clothing is still an important part of the shopping experience," said Hudson in a press release. 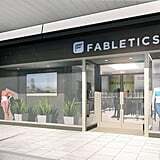 "The Fabletics stores will also be a place for our community to live their passion and connect with others who are also taking steps to living healthier and more active lives." The first store is opening in Woodland Hills at The Village at Westfield Topanga in Canoga Park, CA, on Sept. 17. After the launch, they will be opening new stores in Columbia, MD, Bridgewater, NJ, Newark, DE, St. Louis, and Cincinnati. The new retail store will carry the latest designs from Fabletics and its new line of men's workout and lifestyle essentials, FL2. Read on to see the top seven items we can't wait to shop!